Several times per year we, Israeli Krav International, conduct “Tour and Train” sessions in Israel. For a week, ten days, or longer, we combine intensive Krav Maga training with touring sites of historical importance, learning the history and culture of this region, and being part of the daily life of Israel. “I don’t mean to sound like a huge commercial for IKI however I can only recommend going on the trip. It was a lot of fun and I learned a lot. I would really recommend it if you have not ever been to Israel before as it is a great opportunity to go to Israel and see the country. Even if you have been to Israel on one of the many “Holy Land tours” that are offered (and I saw tons of those going on while I was there) I would still recommend going with Moshe’s service as you get to see a more “behind the scenes” view of Israel that is probably not offered by most tourist companies. I know I like to see not just the tourist sites but really like to see what life is like for the “average person” in that country and Moshe’s tour gives you a glimpse of that. You will get to meet and talk with a lot of locals, whether it be the people that live in the “big evil settlement” of Maaleh Adumim, an ex-Bedouin coffee shop owner, and if you like to you will get to see how religious services at the synagogue work as well. It is these connections that you will never find on a “normal tour” that made the trip so worth it, and you get to see not just the differences in people, but also the similarities in all of us. Moshe with Samir, Judean desert. It will also provide you with an excellent viewpoint in the current news that is always revolving around Israel and the “Palestinians” and you will come out of the trip hopefully with some thoughts of your own on the matter, ones based on experience with the people of Israel and not from what the media is telling you to think about the matter. And of course if you are going to train in Krav Maga, it is a great place to do that as well. The Krav Maga is different than some of the other systems however you get to test the techniques there and when you get back (I was able to train when I got back with people from other systems) and the techniques that Moshe teaches work. As a 19 year old, I at first felt apprehensive going on a trip myself, let alone a foreign country to learn Krav Maga. Yet these qualms ceased on the first day of tour and train. Why? Mr. Katz’s IKI Krav Maga program is special. It is not based on any form of elitist ideology that many programs like to espouse to their clients. IKI Krav is tailored to the individual and is “down to earth”, built for the street and real life scenarios. Like many martial arts, IKI Krav Maga involves technique. However, instead of “ten moves for one situation, IKI teaches one move for ten situations, as Mr. Katz himself says and teaches. Tour and Train is also a whole experience both dedicated to ones Krav knowledge and education about Israeli history and culture. This enriched my experience greatly and exposed me to a wholly new perspective – openness to others and the ability to see beyond my own world on America. I testify that Isreal is a country worth visiting-With Mr. Katz as your guide around the sights and locales, you will see that this is indeed true. His passion and in depth knowledge of Jewish history and life is irreplaceable. Along with tour and train are the counter terrorism course and VIP protection course at Caliber 3. I recommend these also-one will learn about the Israeli mindset and learn invaluable techniques that will be also, along with Tour and Train, never forgotten. This experience brought me confidence for a lifetime! I also recommend you to join IKI and continue your learning even after the program is done. “IKI Tour and Train is an amazing experience, but make no mistake, it is not a holiday. During the 10 days, you get more than 8 hours intensive Krav Maga training each day, during which, you learn and practice a lot of techniques. The training is suitable for everyone, young, old, fit, unfit, experienced or inexperienced. If you are interested in Self-Defence training, then this is a great place to start or consolidate your knowledge, you learn a lot, and can go away with confidence that you can continue. Something that really differentiates this course and makes it better than the others is the chance it gives you to experience the history and culture of Israel. As well as the excellent training, Moshe and Esther take the group to a range of culturally and historically important locations in and around Jerusalem. There are also opportunities to participate and experience the Jewish culture. Apart from the Tour and Train part of the trip, you meet an interesting group of people from around the world. While each person has their own reasons for coming on the course, you are united by wanting to learn Krav Maga, and through the intensity of the training. It makes for a lot of fun, and life-long friendships. Moshe and Esther put heart and soul into the course to give you the best and broadest possible experience of Krav Maga, Israel’s history and Jewish culture. I had a great time, and you really cannot ask for more. In November 2013 we took part in Moshe Katz’s „Tour and Train”. Since we are 50 respectively 59 years, we were reluctant to book the tour at all, since we had already mixed experiences of Krav Maga in Germany. But what we got was exactly how Moshe predicted in his emails before: “Everyone trains on his own pace and intensity”. We got away with NO injuries, even NO sore muscles and almost no bruises but with substantial and complex insights into various self-defense techniques, comprising hand to hand, ground fight, REAL knife defense (evasion) and none the less a big portion of gun-disarming. – So far pragmatic aspects! Even more impressive and moving was the insight Moshe granted into the mentality and mind set behind Krav Maga and his very personal feelings and emotions. Very probably it takes to be mature up to a certain degree to fully understand, what Moshe tried to come across with, but in our case he entirely succeeded in, sometimes without any word vocalized! A unique experience, we never forget. A relationship between two nations or two peoples such burdened as the one between Israel and Germany is unique in history. Provided this, we were always very sensitive about reactions, when Moshe introduced our group to Israelis, and where members are coming from. In NO case we sensed negative emotions, when Germany was mentioned. It is quite the opposite: We never forget this moment, when a six-day-war veteran chooses Norbert as the only male German to pose arm in arm for a group photo at ammunition hill. And he even showed his pride of his German roots. Yad Vashem: Given the historical fact, in each and every language it is impossible to find the appropriate words, but we try to: In Germany even after about 80 years, people are very reluctant to talk about the holocaust. The word “embarrassed” does by far not provide the appropriate reach, what we feel. Germans avoid to mentioning, that since thousands of years Jews had been deprived from privileges, hunted, expelled, humiliated, even killed, and that while 2nd world war many Germans granted shelter and helped Jews to escape Nazi prosecution. If this was mentioned by Germans it always sounds like a cheap excuse. But Israelis do! And they emphasize, that everything is confirmed and proved. – What a great gesture! Thank you Moshe, for a unique journey through our history. Im November 2013 nahmen wir an Moshe Katzs „Tour and Train“ teil Da wir immerhin 50 (f) bzw. 59 Jahre (m) sind, zögerten wir den Kurs zu buchen, da wir in Deutschland eher durchmischte Erfahrungen mit KM (Krav Maga) gemacht hatten. Aber das was wir schließlich erleben durften, war genau das, was Moshe in seinen Mails im Vorfeld angekündigt hatte: „Jeder trainiert in seinem Tempo und mit seiner (gewünschten) Intensität. Wir erlitten keinerlei Verletzungen, nicht mal Muskelkater und nahezu keine blaue Flecken, erhielten dafür aber substantielle Einblicke in komplexe und vielfältige Selbstverteidigungstechniken, die waffenlosen Nahkampf, Bodenkampf, Messerabwehr (Vermeidung/Entkommen) und nicht zuletzt eine gehörige Portion Entwaffnung von Handfeuerwaffen. – Soweit die pragmatischen Aspekte. Aber noch beeindruckender und bewegender waren die Einblicke, die uns Moshe gewährte in die Mentalität, die Einstellungen, Emotionen und seine ganz persönlichen Gefühle hinsichtlich KM. Wahrscheinlich muss man bis zu einem gewissen Grade Lebenserfahrung mitbringen, um in vollem Umfang zu erfassen, was Moshe uns vermitteln wollte. In unserem Falle war er jedenfalls in vollem Umfang erfolgreich, manchmal auch ohne ein einziges gesprochenes Wort. Eine einzigartige Erfahrung, die wir niemals vergessen werden! Eine Beziehung zwischen zwei Völkern oder Nationen, die so befrachtet ist, wie die zwischen Israel und Deutschland ist einzigartig in der Geschichte. Dieses Umstandes bewusst, waren wir stets sehr sensibilisiert auf mögliche Reaktionen, wenn Moshe unsere Gruppe anderen Israelis vorstellte und das jeweilige Herkunftsland benannte. In KEINEM Fall verspürten wir negative Gefühle, wenn Deutschland Erwähnung fand. Ganz im Gegenteil: Wir werden nie den Moment vergessen, als ein Veteran des „Sechs-Tage-Krieges“ sich Norbert, den einzigen Deutschen aussuchte, um mit ihm Arm in Arm für ein Gruppenfoto am „Ammunition Hill“ zu posieren, um auch so dem Stolz auf seine deutschen Wurzel Ausdruck zu verleihen. Yad Vashem: Eingedenk der historischen Fakten ist es in jedweder Sprache unmöglich die richtigen Worte zu wählen, aber wir versuchen es: Selbst nach 80 Jahren sind Deutsche sehr zurückhaltend bis peinlich berührt überhaupt über den Völkermord an Juden zu sprechen. Das Wort „beschämt“ hat bei weitem nicht die Reichweite, um das auszudrücken, was wir fühlen. Deutsche vermeiden es zu erwähnen, dass seit tausenden von Jahren Juden ihrer Rechte beschnitten, verfolgt, vertrieben, bedroht und sogar getötet wurden und das während des zweiten Weltkrieges viele Deutsche jüdischen Mitbürgern Unterschlupf gewährten und zur Flucht verhalfen. Wenn dies von Deutschen so angesprochen würde, klingt es immer nach einer unangemessenen Relativierung. Aber Israelis sprechen es an, und sie betonen, dass die ganzen Beispiele belegbar und bewiesen sind, – welch generöse Geste! Danke Moshe für eine einzigartige Reise durch UNSERE Geschichte! Moshe, when I chose to travel to Israel, in November 2012 for Krav Maga Training, I did a lot of research in terms of where to train, and I have to say I made the right choice to train with you [IKI] in Israel, because you “Keep It Real” and as a personal witness I can say, you make sure that each and every student learns the IKI KravMaga concepts, and not to mention, the cost of the training can not be beat!! So nice of you to find kind words for everyone in the group. Well, only you can judge how the atmosphere in earlier Tour and Train groups was, but from my perspective I also experienced a good spirit and camaraderie. As a new beginner I felt unsure if I would be accepted – and then I felt so soon integrated and respected by everyone. A lot of this nice atmosphere is owed to yourself – due to your warmhearted way of teaching and treating people. A big thank you as well! I am looking forward to the next training with you, hopefully in the next Tour and Train, but at least in December in Germany. Tour & Train (June 2014) was a defining point in my life. I came with a very training focused mentality and was soundly impressed with both the rigour of practise and realism of the techniques. Moshe and his fellow instructors really will teach you as much as you want to know and by the end of the program I personally felt much more able to defend myself in any given situation. Although much more can be said in the way of training, it is really something you must experience for yourself and I can’t recommend it highly enough! As for the touring part of the program this truly exceeded my expectations, you have the opportunity to see Israel’s past and present. Yad Vashem in particular is incredibly moving, there is no memorial in Western Europe that is comparable. 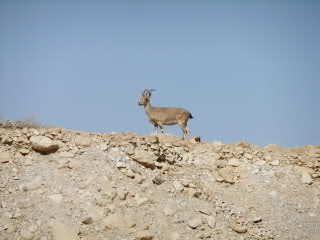 Further, you will meet some of the warmest people in Ma’ale Adumim. I was invited to share Shabbat meal with a Rabbi and his family, an experience I will not forget. The Caliber 3 courses are run by real Israeli warriors who rely on the techniques they teach to enable Israel’s survival. Everyone I met there was incredibly passionate and really wanted you to understand the concepts, there was absolutely no room for just ‘going through the motions’. The Counter Terrorism instruction in particular speaks for itself and is absolutely unmissable. Tour & Train and IKI in general has such a fantastic atmosphere I can only really compare it to family, I thoroughly look forward to returning! I had a great time with your IKI training, really enjoyed it and for a complete novice, I felt comfortable with your training and pace of training. It was a great group of people, all really helpful and patient with me. Also your local pupils where all really friendly with a relaxed and happy helpful method of assisting and training a real pleasure! He has hosted two hugely successful seminars in his hometown of Königsbach-Stein and a third is scheduled for September this year. He is a second dan black belt in IKI Krav Maga. Yet, even as a high-level practitioner and instructor, he found that in Israel he has much to learn. He came as a student and humbly dedicated himself to improving his Krav Maga skill and learning about Israel and our culture. I can honestly say there is the before Israel Jürgen, and the after Israel Jürgen. I invite other instructors to follow his path. Thank you Moshe, thank you Esther for your work with IKI, for organizing this indescribable Trip to Israel. When I came home … many friends asked me: how was it, did you enjoy the Tour ? Oh, yes … and I cannot explain .. “good” is not enough, Tour and Train is ..wooowww! But why is it “wooowww” ? It is because of … where should I start? The Group trains inside and outside, with local Krav Maga students and with the international students exclusively … alone this makes a big difference to regular Seminars. You train in Israel … with the pupils of this fantastic country. You become part of this country. Training with the locals .. does not matter if men or women … they are all so friendly, like really good friends. We met a former IDF Soldier … a young man, he was in the Gaza-War .. he told us the real thing, … not even what the newspapers around the World tell. Here you see, why it is important to learn Krav Maga. Train with the locals , feel the low kick from Laizer, enjoy the elbow strikes from Yonat or Julia. If you talk with these guys and girls … you will get a flavor how is it to live in Israel. Maybe in Your Home dojo the Gun-defense is just a game … wow, here it is real life. Everyone here knows: ”if I do not practice enough, maybe tomorrow I will lose my life” IKI Krav Maga is not a game! It is to protect yourself and your beloved ones. Our group was recruited by students and Instructors around the World. Australia, Poland, England, Swiss, Sweden, Croatia, Cayman Island, United States, Germany … all of us have different backgrounds. There was a former American Football Player, Bodyguards, Soldiers, Doormen, whatever… with these backgrounds we worked together with new situations. A technique which works with an IKI Instructor with 30 years in Martial Arts will not work with a young women which never was trained in any style of Martial Arts / Self-defense. … so we where searching and finding a solution which fits every one. During the two weeks all participants live together with local families … on this way we can talk with the “native speakers” … they are always friendly – also to us – the Germans. Here we have learned a lot about the culture and the lifestyle. I must say: this was a great experience for me. I made new deep friends. Israel – the land of the Torah and the Bible – here all these stories become alive! The old City (of King David) or the Battlefield of David vs. Goliath … we also visited the first Christian Church in which the wonder of Pentecost occurred .. wow, I can not give words for this. Anti terror training, what should I say? I’ve never shot before, I was not in the Army .. but yes it was great. 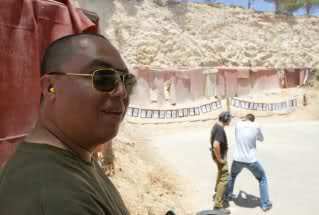 The way how these experts teach you to shoot with a handgun or a machine gun … easy and effective! And than … in the lunch-break … a Man – I call him HERO – told us from his “job” in Uganda … to rescue about 100 hostages from terrorists. Shai Ish Shalom speaking with members of IKI Tour and Train about his experiences with Yoni Netanyahu of blessed memory, rescuing the hostages inOperation Entebbe. Visit the Synagogue on Shabbat. OK, I did not understand any Hebrew word … beside Jerusalem and Amen. But this does not matter. I’ve had the great honor to be there twice … and see the Jews …hear them pray .. and feel: the presence of the King of Kings, and LORD of all LORDS. Yes you can feel him. After the ceremony in the synagogue we went to Esther for Shabbat meal. Eating together, talking and get the blessings from Moshe … WOW, why “WOW”? because Moshe is in the direct line to Aaron, the brother of Moses (Moshe) .. Aaron was the first High Priest of Israel. The First Cohen Gadol. Heritage of the Fathers, synagogue in Maaleh Adumim. But was there anything bad? or terrible … ? Yes! When we walked in the Old City, we had to go into the Muslim-quarter … no, this is not a racist blog! But I felt not really safe in this area. .. for me it seemed dark and dusty. The way how the Arabs have watched us … was not really friendly. Again: this is MY version and MY sight … maybe other guys of our group felt secure – but not me. So what should I say … if you wanna be a Krav Maga –warrior … you “must” train there. You will never ever feel this Spirit if you will not be Part of this land. Tour and Train IKI gives you much more than only training. Here you become something for your body, spirit and mind. .. all three levels of human being are involved. You came highly recommended to me after I trained with your teacher Itay Gil. I was initially attracted to IKI when I came across your website, I was impressed by the simplicity of the site, it made a change to find a site that did not have bells, whistles and fancy graphics and macho images smashing each page. Instead your site is designed to be a rich resource of both Krav Maga and the history of Israel, the information is clear and honest. I joined IKI and found I had joined a family. I have been involved in martial arts for over 30 years and I have trained with some amazing teachers, for instance my instructor in the UK is Geoff Thompson 7th dan and founder of the Real Combat system. The point being I believe my experience to date helps me see through any smoke and mirrors that an instructor might be hiding behind. I am pleased to say that what you see is what you get with Moshe Katz and IKI, the emphasis always is in doing, developing or finding what works and not what looks good. Moshe is a rare tactician who is continually assessing tried and tested techniques in an effort to reach a goal of simple and complete efficiency. Once a student realizes that Moshe is not interested in proving how hard he can strike or how quickly he can deliver multiple strikes but instead he is intent on finding and teaching what is effective, then that student has already been taught a great lesson. I needed to experience Krav Maga at the source so it felt natural to me that I should go with IKI and I’m glad I did. I stayed in a great apartment situated close to Moshes training facility, this was owned by a local Jewish family Susan and David who made me most welcome. Moshe organized the accommodation and it was first class, my host even provided ice packs for helping to soothe some existing injuries I brought with me to Israel. Talking of ice packs, what a chilled out and relaxed guy Moshe is, his easy going attitude I’m sure helped to create a very harmonious and happy environment for the 22 Tour and Train participants. I was impressed with Moshes passion for the Jewish nation, its people and history and we visited some amazing places of massive historical importance. 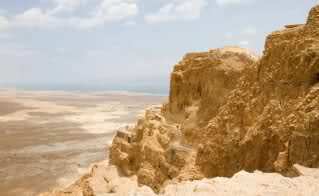 I floated in the dead sea and stood atop of Masada on the same day, an unforgettable experience. The Krav Maga training was extensive, we often trained till 10pm and started at 9 30am but the time flew by, even on the days we visited places we always trained later in the day so I really enjoyed the fact that Moshe crammed so much into the time available. 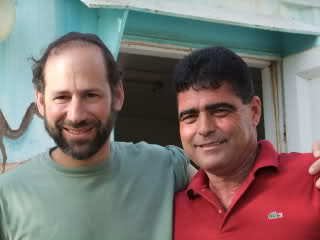 Moshe is a well respected man in his community and I personally hold him in high esteem as both friend and instructor. Here is my personal recommendation for Moshe Katz and Tour and Train IKI. 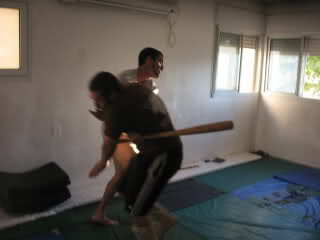 If you want the real Israel and the authentic Krav Maga then seek out Moshe Katz. Go to Maaleh Adumim and train at the source, no smoke and mirrors just solid honest Krav Maga delivered by a great instructor who lives his life to teach Krav Maga as a passion. I’m a man of few words but T&T for me has been the most incredible experience of my martial arts career. Krav Maga is the perfect system for imperfect people. It’s effective, easy to learn and you don’t have to be a super athletic guy to learn it. Everybody can learn and master this effective style of combat regardless of anything. But it’s not just learning Krav Maga, it’s understanding the cultural aspects of the Israeli people that you really understand how and why the system works. That’s why Tour and Train is the perfect tool to internalize the system and make it yours. It`s was really an amazing experience! great people, great food. Thanks to Esther Lehman for your hospitality and beautiful daughters. Thanks to Moshe Katz for promote friendship, for wonderful training and for teach us about the deep heart of Israel..not to mention the professional and good training. I have been regularly training in Israel for some years with IKI Krav Maga and Moshe Katz. I believe I was extreemely fortunate to find IKI amongst the many different organisations advertising tour and train type programme’s on the world wide Web. Yes I believe fortunate is an accurate description when looking at the benefits available on the IKI tour and train programme, let me share the main features with you, I guess the main feature would be that everyone who attends gets to train with the chief instructor of IKI directly, there is no elitism or limited access to Moshe, quite the reverse. Moshe has a wealth of knowledge regarding Krav Maga and is an expert on Jewish history, this makes the experience of tour and train very personal as one is privy to information that is derived from both personal and ancestral experience. Moshe brings real passion and feeling to every aspect of the programme and I honestly believe that this style of T&T is not available anywhere else. IKI keep it all simple what you see is what you get, simple easy to navigate Web site that has literally 1000’s of pages of information, the same goes with tour and train, training is laid out at pre arranged times as is the touring of historic sites. Esther is Moshes assistant who is wonderful at organising logistics, collection and airport transfers and accommodation and so forth. The tour and train programme is situated in a place called Ma’al Adumim at the IKI head quarters and accommodation on the whole is located near by with local families or small private apartments at affordable prices. This year’s Tour and Train was superb and I have made more friends from around the world from places such as as Israel, Poland, Switzerland, America, England, Australia, Canada and Italy. Thanks you Moshe Katz and IKI for another outstanding Tour and Train. The first thing I felt, as I had arrived for tour and train, was a very welcomed feeling, it was strongly felt and made me much more at ease. I knew, ( or at least expected ) that I would learn much more of the Krav Maga and its history. I was very much surprised!! The people are absolutely kind and wonderful. I have learned more From Moshe Katz, and Esther Lehman ( two angels by the way ) in ten Days, then what would takes months to learn from books. Their hearts are as big as Israel itself. They teach real Krav Maga That works at its simplest, design for everyone. The technique doesn’t require strength or endurance to perform and is based on gross motor skills. ( big movements ) Any fine motor skills ( small movements ) go out the window under extreme stress such as a life or death situations. Moshe, and Esther are both all about peace, respect and ethics. To learn IkI Krav Maga, is to learn peace and to spread that peace. To respect, and cherish all life. Moshe Katz knowledge, and family roots to the history of the Jewish people with their hardships and their triumphs, better then any book you will ever read, walk with Moshe back in time throughout Jerusalem, and the Masada, and not only will you Learn the history, but you will feel the history!! The Heart and spirit of the people. The whole experience can not be expressed in words it needs to be witnessed. I will continue to go back for as many years as I am on this beautiful planet. Thank you Moshe Katz and Esther Lehman for welcoming me as a part of the IKI family. I did four Tour and Trains in row as I kept coming during last three years. 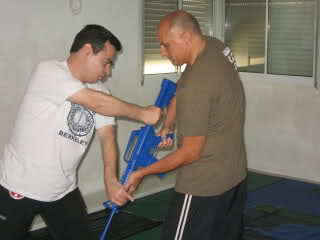 1) always intensive, covering nearly every possible critical situation that one can come across, 2) up-to-date, all based on experiences of real life combat situations that Israel is facing daily which all brought genuine quality in each training and guaranteed that every training participant gets the best of Krav Maga today. In general, trainings under guidance of Mr. Moshe Katz and IKI Association were by far the best choice I could made and spectrum of skills that I learned made me so much better prepared for work in high-risk environment. Another plus is that the people I trained with when I got back said that under their system they wouldn’t teach certain techniques until a student had a certain amount of time in the organization while Moshe will teach you everything that you want to learn and for about any scenario that you can think of. “I attended Tour & Train in June 2011. We trained for a minimum of 7 hours a day. This type of intensive training promotes increased muscle-memory …eg techniques will start to become instinctive. No different from learning/practicing the mechanics of a golf swing. When it all comes together, you will remember it. I remember within the last couple of days we did a pistol disarm (to the back of head) with our eyes closed to test our technique. It was the same result as eyes open. We felt the gun and reacted. I will be traveling back to see Moshe next June. It is an experience you won’t forget. If you are serious/enthusiastic about Krav or even CQC in general, you will enjoy it. My name is Jose Nacul and I am from Argentina and I teach 2 years ago, Kapap & Krav Maga (Israeli Defense Systems). 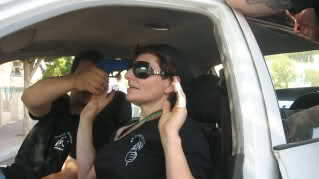 I went to Israel in September to train in Krav Maga. It was a great time and I learned a lot and met a great person, Mr. Katz. I also met some local students of Krav Maga and I have great memories of them. I felt very comfortable and hope to return to Israel soon because I have the idea to continue with training. I came to IKI Tour and train as my first visit to Israel so I was as interested in the Krav Maga training as much as the touring and activities that Moshe had planned, I consider myself to be extremely selective and hard to impress but Moshe far exceeded the expectations I had which I set very high, not only was everyday jam packed with training and well organised activities but the professionalism and welcoming atmosphere that Moshe and his assistant Esther provide made this tour an amazing experience. Moshe has a wealth of knowledge and experiences in Israel that he openly shares with all participants and makes you feel like part of a family within an extremely short time. Esther his assistant is also amazing and made the experience even more enjoyable with her friendly demeanour and wealth of knowledge and experience in Krav Maga and Israel and both became friends very quickly, both of them show genuine concern and care for participants and go above and beyond to ensure all gain experience whilst they are there as well as ensuring that the experience is enjoyable to all. The opportunity to train with locals is also a very enjoyable experience with some very friendly and talented Krav Maga practitioners training with Moshe who are more than happy to assist and train with visitors. I cannot recommend this program enough whether you have been to Israel or not this is an experience that you will not forget, I will definitely be back and can’t wait to see Esther and Moshe again. “I did Tour and Train back in June with no prior training in any self defense and it surpassed all my expectations. Even though I haven’t had much opportunity to train afterward there were so many things I’ve learned I feel able to apply this minute. It really works, guaranteed! Trainings are fun, systematic, yet real hard but day ends with satisfaction on how many things you learn, how everything is easy to learn and how effective it is. Moshe says how transformed you can be – that I confirm!!! Of course that more and more training is needed, more repetitions, till all becomes as natural movement but even at this stage everything I learned so far gave me so much confidence to deal with situations in which before I wouldn’t know what to do or how to deal with them. I know there are many places out there where you can go for Krav Maga training but the one with Moshe was by far the best for me, and I intend to keep coming! Moshe, you provide the most up to date self-defense training available. Thanks for providing these life-saving techniques. I would like to take this opportunity to extend my big thanks for another amazing IKI Tour & Train experience, so carefully prepared and organized project so that each of us participants coming from around the world would feel good during every moment spent in Israel and with its people. IKI training again proved to be unique in its approach – techniques effective, easy to learn, and always ‘fine tuned’, improved. The best part is when Moshe would explain a logic behind some technique by saying ‘Why?’ (why it works in a way it works?) and then 30+ years of substantial experience in martial arts speaks out explaining in very clear language to every person around why is it so and what is advantage against complex moves and numerous techniques in other martial arts/stiles in Krav Maga. I wonder who, of all others and known to be ‘the best’ in the world can do it the way Moshe does. Most importantly, which made profound impression on me is notion how honorable foundations were laid in creation of IKI and objectives set for the future by making IKI Krav Maga accessible to as many people as possible, to enable people to defend themselves regardless on their age or physical abilities and also among them recruit those that will further promote IKI style and values by becoming committed instructors. Special benefit for each IKI student is offered in form of additional training in counter terrorism and VIP protection where world class operatives trained us in combat/weapons/security protocols that only Israeli specialists developed and today deliver to their counterparts from around the world. This merge was surely special bonus and I myself as a security professional found it extremely useful and most of all I feel ready to respond should critical situation would dictate so. I am immensely grateful for every minute spent with such outstanding, and I repeat again, world class specialists. I wish many more successful Tour & Train events in future, happy students from around the world to enjoy unique Krav Maga training with IKI and I give my personal assurance that I will come back even if it means being under fire – at least I will stand together with wonderful people of Israel and share fate with them. Krav Maga Tour & Train has been a tremendous experience. Moshe and Esther have given us a very full two weeks. Everyone has learned and grown a great deal with every opportunity that we have been given. We have been exposed to the depths of history, war, and religion here in Israel. I have gained more in this two week period than I could have in an entire semester of schooling on these subjects. Moshe is knowledgeable and passionate about both the places we have toured as well as the Krav Maga training that he provides. This has made every day fun and enlightening. In the past I found what I heard on the news about this region of the world to be confusing and extremely difficult to understand; however, with this outstanding experience, I am going home empowered. I now have a much better understanding of what is going on here politically and religiously. I have an increased understanding and deep respect for the history that has taken place here. Our group is of different backgrounds, ages, gender, and religions, but with Moshe’s genuine example, everyone has worked well together. Life-long friendships have been made. IKI Tour & Train has been a fantastic experience. We hope to return in the future. “I spent 16 days with Mr. Katz in July 2011. If you want to really understand IKI Krav Maga, you have to come to Tour & Train and be immersed in this training. IKI Krav Maga is more than just a series of moves or techniques; it is an approach to living. Coming to Tour & Train allows a person to really understand the philosophy behind that lifestyle, and where it comes from. 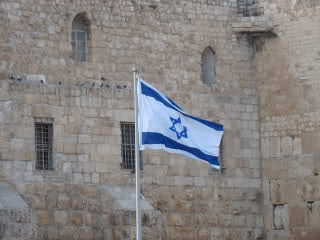 It is borne from the history of the Israeli people and it reflects their attitude towards life. It reflects the ideas and “Never Forget” and “Never Again,” which are woven into both the hearts of this people and the principles of IKI Krav Maga. Amazingly, after about the first week of intensive martial arts instruction as well as historical and religious experiences, class members started to “see” how a certain attack would be handled even before Moshe presented the defense, simply because we began to “see” the principles behind the techniques and we could apply them to new situations ourselves. That would have taken me years to develop attending a class once or twice a week for an hour or two. I feel as though I gained years of Krav Maga experience and understanding in two weeks at Tour & Train. I cannot recommend it highly enough. Sample of some of out training. Most participants lose a lot of weight on these trips, but it is not for lack of food! 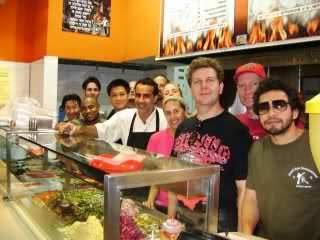 Here you can experience Middle Eastern food as well as Italian food, healthy salads, and great coffee. Soy un hombre de pocas palabras, pero T & T para mí ha sido la experiencia más increíble de mi carrera en las artes marciales. Krav Maga es el sistema perfecto para la gente imperfecta. Es eficaz, fácil de aprender y usted no tiene que ser una persona súper atlética para aprenderlo. Todo el mundo puede aprender y dominar este estilo eficaz de combate sin importar nada. Pero no es sólo aprender Krav Maga, es la comprensión de los aspectos culturales de la población israelí que realmente hace que uno entienda el cómo y por qué funciona el sistema. Por eso Tour & Train es la herramienta perfecta para internalizar el sistema y hacerlo tuyo. Asi quiero titular mi historia, porque cuando revisaba mis notas, lo que queria expresar acerca de mi experiencia en Israel, descubri cosas que no se ven desde adentro .. Es decir, en el mundo de hoy, todo es acelerado; Vemos ni#os de 8 a#os de edad que son cinturones negros en diferentes artes marciales (…) incredible, no? Cuando o como fue que esto ocurrio en un periodo tan corto. Pero asi es, en la calle hay muchas academias y se ense#an muchas cosas. Hay mucha propaganda que impresiona, pero poca verdad y sin lugar a dudas, muy poco realistas. Yo, personalmente he tenido experiencias con muchas de estas; En algunas academias de Artes Marciales, me encontre con “Maestros” que comen helados en medio de su clase, mientras hablan con sus alumnos, que por cierto, como ya mencione, ascienden a cinturones avanzados en cuestion de meses, y las fotos y celebraciones a travez de las redes sociales dejan ver cuanto “exito y orgullo” inhundan de absurdas fantasias las pantallas de nuestros ordenadores. Tambien he estado delante de “expertos” que, en academias de supervivencia te explican que ellos proven el almuerzo y que no olvidemos traer: Linterna, Tienda de acampar, GPS, Celular/telefono movil, Cepillo de dientes, Cuchillo de Rambo, y una larga lista que hace que yo me pregunte: Que voy a aprender? voy a sobrevivir, o a compartir y disfrutar de un paseo al aire libre con un grupo de entusiastas (…) Tambien he estado en escuelas de “Tiro”, “Combate”, y “Seguridad” … en donde los instructores venden tickets de parques tematicos y platican acerca sus “increibles asa#as ya (caducadas hace algunas decadas) y al final del curso, cuando todo acaba, te das cuenta que nada se a aprendido. Asi que esta introduccion es la que me hizo reflexionar acerca de mi titulo (Slowdown) ya que parte de este mensaje, es el hecho de que personas como yo, con tantas malas experiencias en la calle con academias fantasmas, es dificil que pueda hablar bien; Pues 1 de cada 1000 academias es Buena, y 1 de cada 3000 maestros, es verdadero y genuine. Y esto fue la experiencia que yo vivi en Israel, con Moshe y su Academia (IKI); Yo no sabia que esperar, me resultaba insolitoluego de tantas descepciones con otras Escuelas, estar viajando hasta el otro lado del mundo para encontrarme con un grupo de personas que no conocia de nada. Asi llegue y no vi una “Gran Academia”, ni tampoco a un “Gran Maestro” (…) solo vi a un individuo normal y cuatro paredes blancas con una puerta que no funcionaba del todo bien, ( y esto lo comento sin animos de chiste ) .. por el contrario, lo que quiero resaltar en esta historia, es que entendi que es alli, en medio de toda esa sencillez y asuntos normales y cotidianos .. todavia hoy se encuentran a los grandes y verdaderos Maestros, los que saben lo que hacen, lo que dicen .. y asi sin dudas es como se aprende para siempre. No es en medio de lujosas Academias con altos costos y atendidas por un personal asistente, ya que sus grandes maestros solo son una propaganda mediatica y siempre estan muy ocupados. Pero ese no fue el caso que yo vivi, sino al contrario; Moshe, ese hombre normal, es un hombre con una gran sabiduria, con mucha historia para contar, con grandes valores y con una inmensa passion por lo que hace, y sobre todo, un hombre con gran calidad humana, calidad de persona .. en conclusion, un verdadero Maestro. Un individuo que no viste uniformes elaborados y ostentando galardones, sino jeans y franelas, un individuo que no pide excusas porque esta muy ocupado, sino que estrecha tu mano y te atiende y mira tus ojos y te dice; Tranquilo, vamos a encontrar una solucion al problema ! .. Ese es mi Maestro, autentico y verdadero .. ese es Moshe, simplemente un hombre de “a pie”, que lo conocen sus vecinos, su comunidad, un hombre que lo conocen en el Mercado, sus alumnos, y los beduinos del desierto (…) asi es este hombre, asi es mi Maestro Moshe, un hombre comun y apasionado, sin ostentos ni altivismos, un hombre que vive con reglas, respetuoso y con moral. Y eso, es lo que hace que yo lo llame Maestro, un Gran Maestro. Con respecto a su academia, esa, la de las cuatro paredes blancas y la puerta da#ada … Estoy seguro que no hay mucho por lo que esforzarse y sumar mas cosas de lo que todos y cada uno de sus estudiantes puede o debe haber ya dicho. La major, asi es IKI academy, alli se aprende en una semana lo que en otras tal vez 3 a#os (…) Otras academias gastan tiempo y dinero en excelentes propagandas y publicidad, pero sus doctrinas no ni simples ni realistas .. solo son mediocres o pura pantalla de peliculas, subrreales. Tengo mas de 40 a#os y he vivido mucho en la calle, he viajado por varios paises del mundo y puedo concluir que las cosas en la realidad suceden subitamente y con tanta rapidez, que en cuestion de un Segundo y medio se acaban las batallas, las peleas o situaciones hostiles; La vida en la calle no es parecida a las peliculas del cine ni tampoco como las vemos en los eventos olimpicos con mucho arte y poca marcialidad, en la calle las cosas suceden rapido, con furia y derroche de adrenalina y asi es que todo acaba en un Segundo. Y esto es lo que aprendimos en IKI en Israel, a combater estos flagelos, a contrarrestarlos con sencillosy naturales metodos de combates probados durantes a#os ferozmente por fuerzas Elites Israelies. No se necesita ser un individuo super atletico, tampoco un Rambo o un guerrero con un extensor pasado cargado de multiples experiencias y ataques .. cualquier individuo puede entrenar y comprobar que este metodo si funciona, que esta ajustado a la vida cotidiana de cualquier individuo sin importer sus caracteristicas. en conclusion, recomiendo esta Academia y la guia de Moshe con los ojos cerrados, nadie asiste a este entrenamiento y se marcha sin decir que nada aprendio y mucho menos que esto no sirve o puede ser aplicado en la vida real. Les deseo mucha suerte y aprovecho para mandar un saludo muy afectuoso y con mucho respeto primeramente para mi Maestro Moshe y su maravillosa asistente Esther y tambien para todos y cada uno de mis compa#eros de entrenamiento. Fue todo un exito y una experiencia unica en su clase.